Gen Xtinct: Bob and Doug McKenzie's "12 Days of Christmas"
Good day, eh? 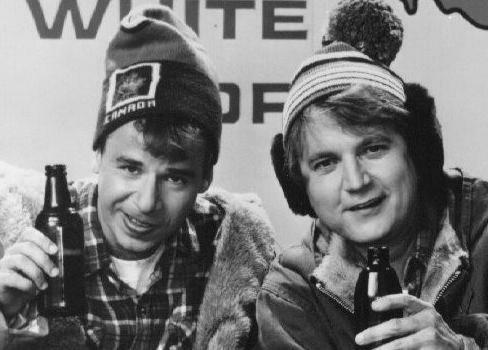 Now that we're well into the 12 days of Christmas (let's see -- we're expecting four calling birds to show up on our doorstep any minute now), it's time to reflect on one of our favorite versions of the classic tune, sung by those hosers from the Great White North, Bob and Doug McKenzie. Because what's more awesome than getting Canadian stuff like this from your true love? "Four pounds of back bacon, three French toast, two turtlenecks and a beer"? Here's a link to all the lyrics.